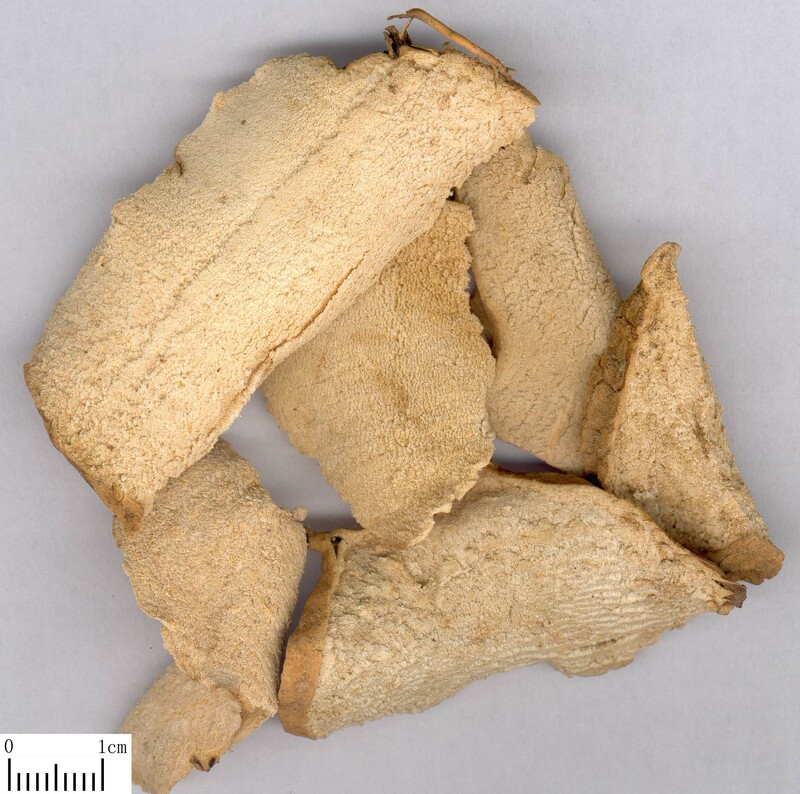 The rhizome of perennial herbaceous plant Dioscorea septemloba Thunb., D. futschauensis Uline ex R. Kunth or D. hypoglauca Palibin. of family Dioscoreaceae. The first two are called Mian Bi Xie, and produced in Zhejiang and Fujian provinces. While the latter one is called Fen Bi Xie, and produced in Zhejiang, Anhui and Hunan provinces, etc. Dug and collected in autumn and winter. Mian Bi Xie is slight smell and bitter. Fen Bi Xie is slight smell, pungent and slightly bitter. Dry, white and equal thickness of leaves. Bitter, bland; kidney and stomach meridians entered. It has the actions of removing dampness from yangming meridians to consolidate lower energizer, so it can separate lucidity from turbidity. It is the essential herb of chylous stranguria. As main herb it is usually indicated for chylous stranguria, turbid and milky urine. For turbid and milky urine due to deficiency-cold, it is usually combined with the herbs of warming kidney and dispersing cold, resolving turbidity and removing dampness. For instance it is combined with Wu Yao and Yi Zhi Ren in Bi Xie Fen Qing Yin from Dan Xi Xin Fa. For turbid and milky urine and dripping urine due to damp-heat, it is usually combined with the heat-clearing, dampness-drying and dampness-excreting herbs. For instance, it is combined with Huang Bai, Che Qian Zi and Shi Chang Pu in Bi Xie Fen Qing Yin from Yi Xue Yin Wu. It has the actions of excreting dampness and resolving turbidity, so it is also indicated for leukorrhagia due to excessive dampness; it is usually combined with the dampness-excreting herbs such as Zhu Ling, Bai Zhu and Ze Xie. It has the actions of dispelling wind and removing dampness, relaxing tendons and unblocking collaterals. It is good at treating lumbar and knee pain, limitation of bent and extend of limbs. For cold-damp dominance, it should be combined with the cold-damp-dispelling herbs. For instance, it is combined with Fu Zi and Niu Xi in Bi Xie Wan from Sheng Ji Zong Lu. For damp-heat dominance, it should be combined with the damp-heat-clearing herbs such as Huang Bai, Ren Dong Teng and Fang Ji.